This would be the upscale Portland-based grocery-store chain’s third location in the Seattle area. It’s moving into a formerly majority black neighborhood split over gentrification, and labor unions are critical of the chain. Portland-based grocery retailer New Seasons will open a new location at 23rd and East Union in the Central District in late 2018, the chain announced Friday. 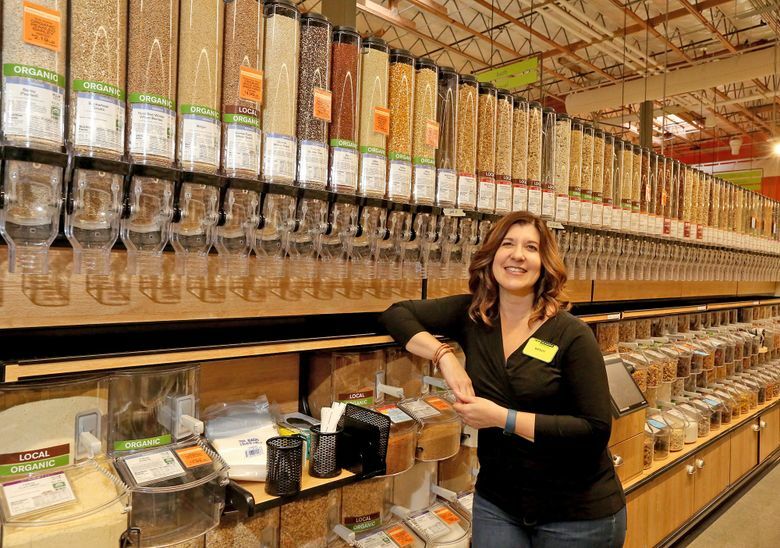 The company — which offers regionally sourced and organic food as well as typical grocery farelike Pepsi and Cheerios — already has a store on Mercer Island, and also plans to open a store in Ballard next year. The Central District was majority African American in the 1960s, but today, due to gentrification, is roughly 60 percent white. Many protests against gentrification have erupted in the district in the past few years. New Seasons Market CEO Wendy Collie, in a news release, called it a neighborhood “rich in history and culture,” adding, “We pride ourselves on creating gathering places that honor and reflect the culture of their communities.” The company says it expects to bring 100 new jobs to the neighborhood. Reaction from neighborhood groups and activists was mixed. The developer of the New Seasons site, Lake Union Partners, has made efforts to slow displacement: Earlier this year, across the street from New Seasons’ planned location, it partnered with local community groups to buy and codevelop a new apartment project where about half of the units are affordable and subsidized for lower-income renters. Rabbi David Basior of the Central District’s synagogue Kadima said in a statement that he was disappointed. But some community organizers hope New Seasons will try to work with the community. Doris Koo, a lead consultant with Yesler Community Collaborative, said the group wants to see New Seasons hire local people and welcome in local vendors like flower shops and bakeries. New Seasons, which is not unionized, is also facing opposition from labor groups. Its bid to open a store on Capitol Hill prompted several local unions to write a letter to the city in 2015 saying New Seasons had an “anti-union climate” that would “undermine grocery job standards.” When New Seasons opened its Mercer Island store last year, it was greeted by an “unwelcome ceremony” from the United Food and Commercial Workers union and other advocacy groups.